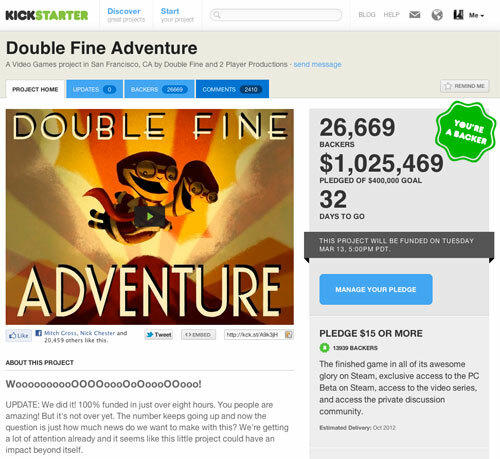 Double Fine Adventure hits $1 million funded in less than 24 hrs. Will this cut out the middle man entirely and kill the current publishing model? No. 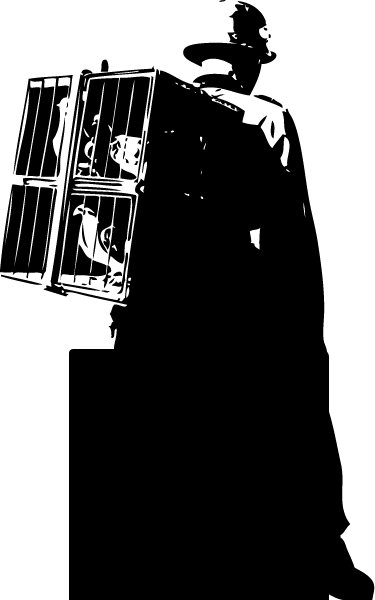 Tim Schafer, Ron Gilbert, and Double Fine have existing reputations, built in part with the coffers of publishers, that they were able to leverage to pull in such extraordinary funding in such a short amount of time. Will this stir things up a bit in the industry? Oh hell yeah. Hi driph. Sorry to bother u here, i didnt know how to reach you. I have a question and i thought u might know the answer. I have a cyberball machine that id like to upgrade to the tourny edition. Is that possible? Do u know how? If so, pls email me at calwinsagain@gmail.com. Thank u for your time. No problem.. and yeah, it’s totally possible, and pretty easy to do. Sent you an email!